F.A.I.T.H. - Nanette Littlestone - F.A.I.T.H. Nanette Littlestone loves playing with words, Roget’s Thesaurus, and word puzzles. Writing that flows is thrilling. Writer’s block is not. She’s also intuitive, heart-centered, slightly irreverent, and has a wacky sense of humor which she offsets with a generous smile. 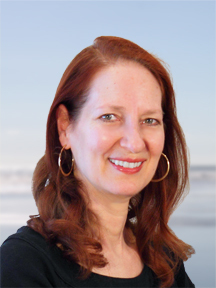 Nanette is a writing coach, editor, author, publisher, and CEO of Words of Passion. She helps inspirational authors overcome writers block, master correct grammar, create strong structure, and write with clarity and passion by blending the technicalities of writing with intuition, emotion, and heart. Twenty years of experience working with both fiction and nonfiction (plus advanced degrees in Resistance, Doubt, and Worry) kindle Nanette's passion for assisting authors to achieve their own unique message. She specializes in helping women write from the heart so they can put their passion into words and inspire others. Finding that place of struggle within her clients and unlocking the door to create change and opportunity is what makes her heart soar. On the publishing side, Nanette believes that becoming an author doesn’t have to be difficult. She created the Partner Up! Book Program to help women entrepreneurs get published the easy way through collaborative books. She is also the editor and coauthor of The 28-Day Thought Diet; the visionary leader and publisher of the F.A.I.T.H. collaborative books, and author of the e-book Overcoming Writer's Block: Moving from Fear to Passion. Her coaching programs and services offer clients unique and in-depth ways to strengthen their manuscripts and make their writing sing.